WASHINGTON COUNTY – The Oak Grove Fire in the Pine Valley Wilderness area of Dixie National Forest saw limited growth Thursday and remains at an estimated 770 acres. Hotshot crews are currently on the ground working on the fire line. Two additional hotshot crews are set to arrive Friday. As of Thursday night, fire containment is at 10 percent. Smoke from the lightning-caused fire diminished a great deal Thursday due to minimal fire intensity during the day, signifying that lighter fuels are being consumed, according to a press release from the U.S. Forest Service. 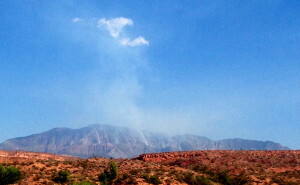 Some smoke can still be seen from the Interstate 15 corridor between St. George and Cedar City. Though fire growth was minimal Thursday, the fire continued to have short crown runs and isolated torching fire behavior. The Black Mesa and Payson hotshot crews are currently working on the fire line. Salt Lake Unified Fire and Silver State Hotshots are to be inserted by helicopter onto the fire line tomorrow. 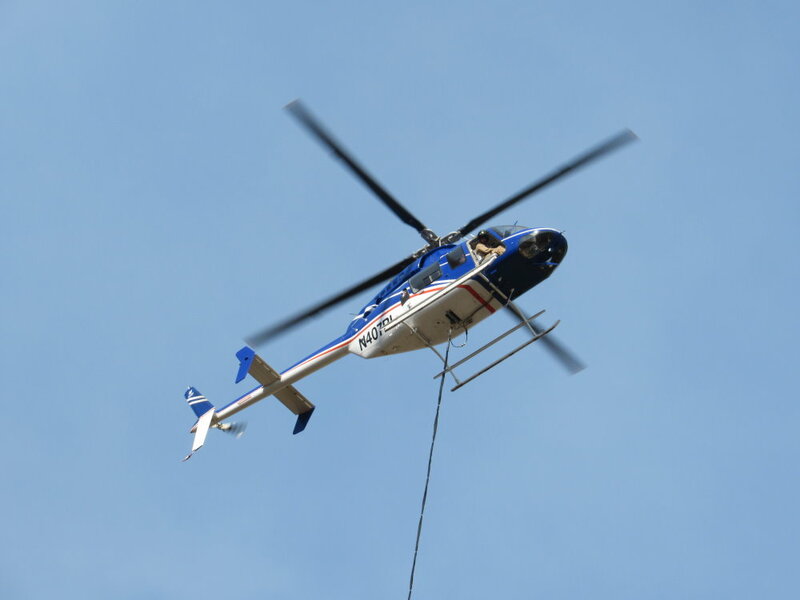 “In areas like this, where the terrain is steep and rocky, we count on aerial operations to establish an anchor point and initial parameter control to then allow ground crews to get in and build fire line,” said Eric Eastep, Oak Grove Fire Incident Commander. Firefighters were not sent into the blaze prior to receiving air support due to safety concerns. Weather forecast shows a high pressure system over the area with an increase in temperatures and dry conditions over the next few days. Winds are expected to be between 5-10 mph. 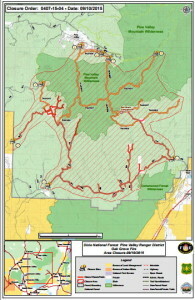 The Oak Grove Fire started late Tuesday morning and is located southwest of the Oak Grove campground in the Pine Valley Wilderness of Dixie National Forest. Forest Service roads No. 031, 902 and 032 to Oak Grove and Oak Grove Campground are closed. The public is urged to use caution in the area to allow fire crews access. The Oak Grove campground was evacuated Tuesday as a precautionary measure. No structures are threatened and no injuries were reported Thursday. Approximately 136 people are assigned to the Oak Grove Fire. This includes personnel from: the Color Color Interagency; Forest Service; Utah Division of Forestry, Fire and State Lands; Bureau of Land Management; Hurricane Valley Fire District; Leeds Area Fire Department; and various other departments and agencies. The fire is managed by a Color Country Type 3 incident management team. Crew resources include: The Black Mesa interagency Type 1 hotshot crew, the Payson interagency Type 1 hotshot crew, the Coconino Type 2 module suppression crew, the Salt Lake County No. 1 Unified Fire Authority Type 2 initial attack crew, the Southern Paiute Agency Type 2 crew, and the Silver State Interagency hotshot crew. While fire managers have said protecting nearby watershed in the Pine Valley Wilderness is a concern, Scott Taylor, St. George Water Services Director, said the wells and watershed that feed water to St. George are located a safe distance from the blaze.